At the marina in Port Hercule in La Condamine, France there is a harbor full of very small but quaint fishing boats all the way up to large luxury cruise ships. Famous people from all over the world bring their luxury yachts to the Port Hercule marina in La Condamine, Monaco in France, Europe. This glamorous port of call has been recently upgraded and reconstructed so it can host twice as many luxury yachts and a larger line of cruise ships. 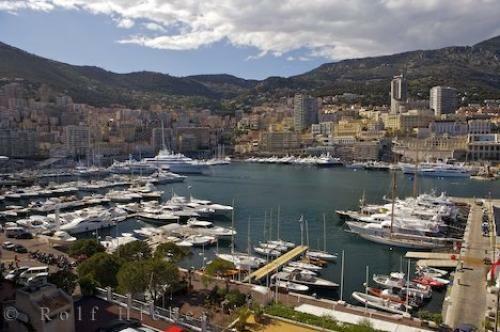 Photo of the marina in Port Hercule in La Condamine, Monaco in France, Europe.